Recent advances in computing and communications have raised a constantly increasing challenge of modernizing and decentralizing industrial processes, by introducing dynamic architectures of cyber-physical systems (CPS). The resulting industrial CPS (iCPS) exploit their inherent relationship with wireless sensor networks (WSN) for providing cost-effective, scalable and easily-deployed solutions in industrial spaces, whilst formulating new paradigms for industrial data acquisition and control. Employing iCPS in industrial processes poses characteristics which are not dominant in conventional monitoring scenarios. The deployment of the WSN components is highly coupled to the objectives of the industrial process, thus introducing logical, along with spatial and temporal, correlations between data streams originated by different positions. Moreover, typical WSN imperfections, such as limited bandwidth, computational complexity, and lifetime, should be treated as inseparable part the processes responsible for minimizing the WSN maintenance efforts. Finally, the quality of sensing is strongly coupled to the objectives and the performance of the industrial control laws, necessitating for intensified reliability and robustness in signal processing and data acquisition, as the complexity of the industrial process increases. Compressed sensing and matrix completion techniques in the front-line of industrial data sampling, to both compensate the physical constraints of WSN, ranging from node failures to communications break-downs, as well as explore and exploit the low-rankness properties of highly correlated industrial measurement. 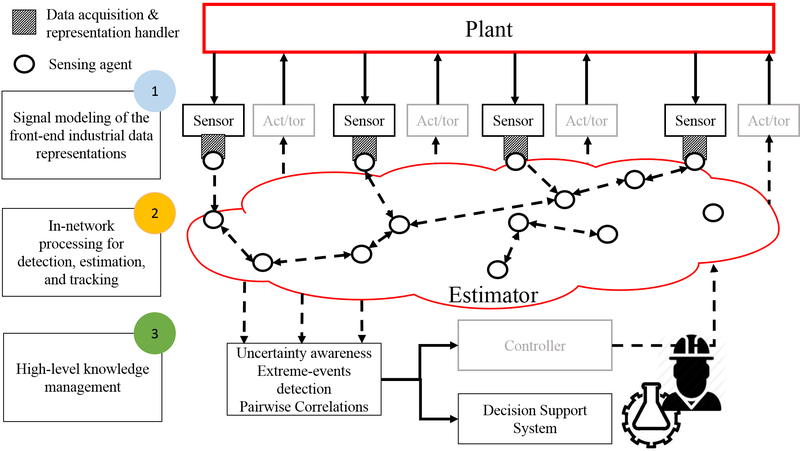 Distributed estimation and tracking techniques for iCPS, emphasizing on iterative average consensus, whilst also considering the generic case of non-uniform deployment of the sensing devices, and examining how the randomness and asymmetry of instantaneous communications, occurred in real iCPS, affect the performance of both estimation and tracking tasks. Uncertainty-aware High-level Data Management and Analysis (U-HDMA), relying on three distinct, yet complementary pillars: (a) uncertainty estimation, (b) correlations extraction, and (c) detection of extreme events. 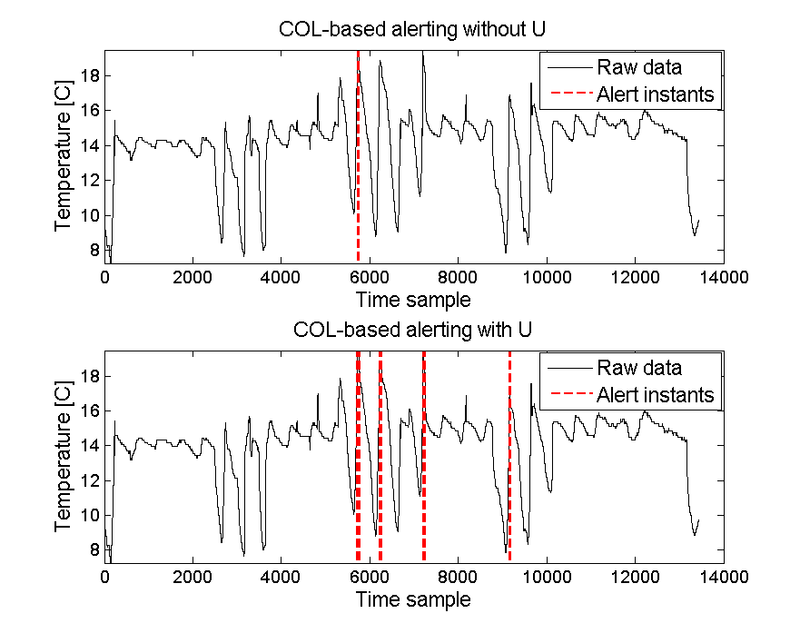 Computationally efficient extraction of correlations from uncertain data streams is coupled with modified uncertainty-aware extreme event detectors to enable higher-level analysis, thereby providing early warning notifications in case of abnormal events. The proposed framework, comprised of the techniques described in the Sections above, has been applied in an iCPS designed for the microbiological monitoring of water quality in industrial plants.